Summarize the layout of the continent’s main physical features, including the ice shelves and volcanic activity. Understand the political nature of the various claims held on sections of Antarctica and how the continent is managed by the international community. Outline the dynamics of the principle of global warming and describe what changes would occur in Antarctica and the rest of the world if the ice sheet covering Antarctica were to melt. Describe how good ozone is depleted and understand the role Antarctica plays in the seasonal cycle of changes in the amount of ozone in the atmosphere above the South Pole. Source: Image used by permission of the British Antarctic Survey, http://www.photo.antarctica.ac.uk. 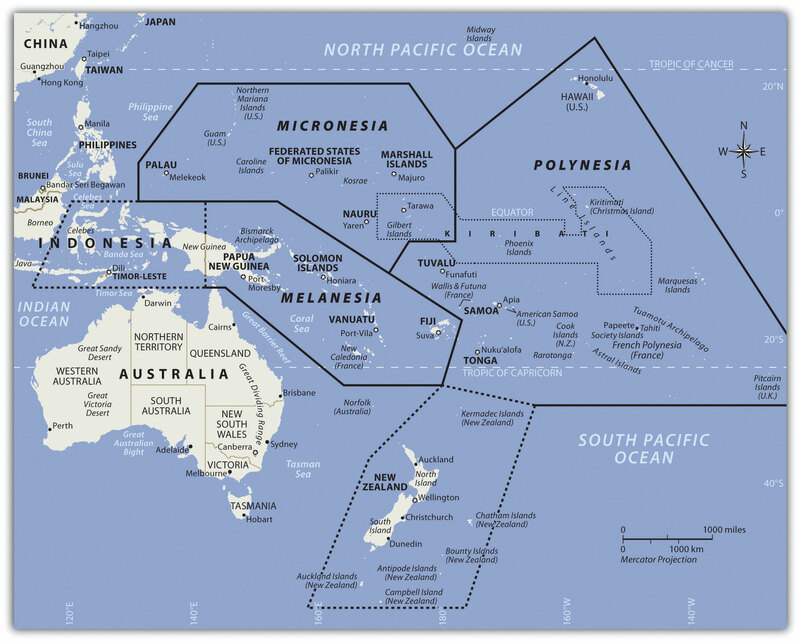 The Southern Ocean, which surrounds the continent of Antarctica, is often misunderstood or not included on many maps of the Southern Hemisphere. The cold waters off the coast of Antarctica move from west to east in a clockwise rotation around the continent in a movement called the West Wind Drift, or the Antarctic Circumpolar Current. The Southern Ocean’s northern boundary does not border a land mass but meets up with the Atlantic, Pacific, and Indian Oceans. Most geographers accept the northern boundary of the Southern Ocean to be located south of 60° latitude even though the actual limit has not yet been firmly agreed upon. The Southern Ocean’s northern boundary has more to do with the marine conditions of the realm. There is a transition called the Subtropical ConvergenceWhere the cold, dense waters of the Southern Ocean meet up with the warmer waters of the other oceans. in which the cold, dense waters of the Southern Ocean meet up with the warmer waters of the Pacific, Atlantic, and Indian Oceans. The cold, dense water from the south sinks below the warm waters from the north to create a zone of upwelling and mixing that is conducive to high levels of productivity for organisms such as phytoplankton and krill. The zone of Subtropical Convergence can be visually observed by the grayish, cold southern waters meeting up with the bluish-green, warm northern waters. The krill, which thrive on phytoplankton, are an important link in the food chain for marine organism such as fish, penguins, seals, albatrosses, and whales in the Southern Ocean. The world has seven focal continents. Rated by physical area from the largest to the smallest, they are Asia, Africa, North America, South America, Antarctica, Australia, and Europe. 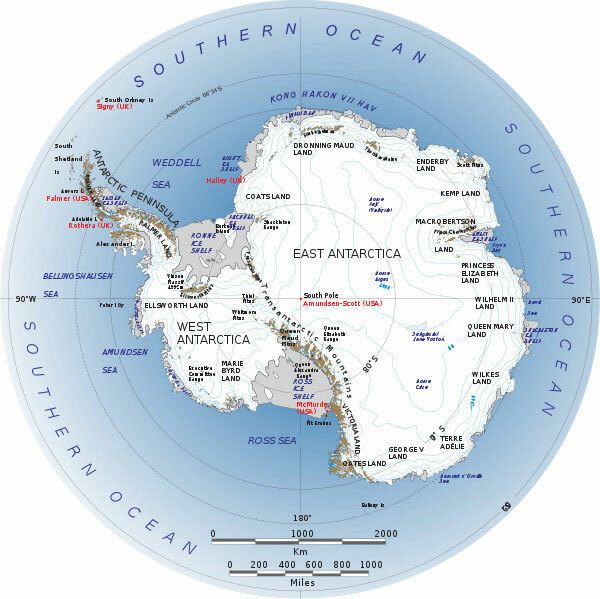 Antarctica, which is larger than Australia and 1.3 times larger than Europe, is located entirely south of 60° latitude and is surrounded by the Southern Ocean. Antarctica has the highest average elevation of any continent; there are many mountain ranges. The two-thousand-mile-long Transantarctic Mountain range divides Antarctica into a small western region and a larger eastern region. At both ends of the Transantarctic Mountains are the two main ice shelves: the Ross Ice Shelf and the Ronne Ice Shelf. The Ellsworth Mountains are located in the western region and are home to Mt. Vinson (or the Vinson Massif), which is the highest peak on the continent, reaching an elevation of 16,050 feet. This is higher than any mountain in the contiguous, continental United States, Europe, or Australia. Antarctica without the ice sheet would be considerably smaller; some estimate it would be only about one hundred thousand square miles in land area, or the equivalent of the physical area of the US state of Colorado. Source: Image courtesy of NASA’s Landsat Image Mosaic of Antarctica (LIMA), http://lima.nasa.gov/antarctica. The Antarctic Peninsula is actually an extension of the Andes Mountains of South America and is home to active volcanoes. The peninsula is the location of a volcano on Deception Island that erupted in the late 1960s and destroyed research stations in the area. There was an additional large eruption in 1970. The volcano continues to show activity, and sightings of lava flow continue to be reported. There may be more volcanic activity than what has been recorded. An underwater volcano in the Antarctic Peninsula was discovered in 2004. Mt. Erebus (12,448 feet), located on Ross Island on the other side of Antarctica from the Antarctic Peninsula, is the world’s southernmost active volcano. Mt. Erebus has been active since 1972 and has a large lava lake in its inner crater. About 98 percent of Antarctica is covered by an ice sheet that is, on average, up to a mile deep. In some areas, it is nearly three miles deep. In the winter season, the ice sheet’s area might double as it extends out from the coastline. The Antarctic ice sheet holds about 70 percent of the earth’s fresh water. If the ice sheet were to melt, the sea level could rise considerably and cover many of the earth’s low-lying islands, peninsulas, and coastal regions with low elevations. Antarctica is considered a desert because it usually averages fewer than ten inches of precipitation per year. Coastal regions annually receive as much as four feet of snow, while the interior near the South Pole might only receive a few inches. Mt. 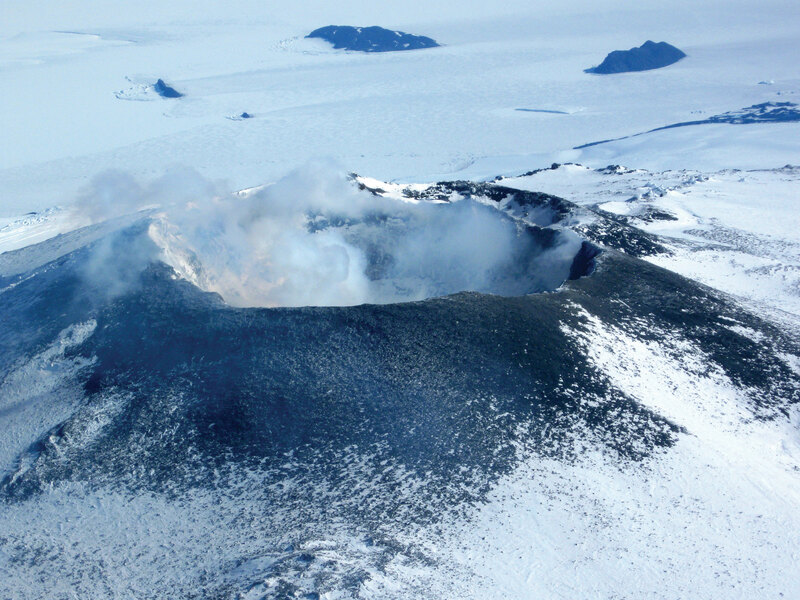 Erebus (12,448 feet), located on Ross Island, is Antarctica’s most active volcano and has a lava lake in its inner crater. Source: Photo courtesy of Nick Powell (National Science Foundation), http://commons.wikimedia.org/wiki/File:Mount_Erebus_in_2009.JPG. There are areas in Antarctica that are not covered with ice but have a landscape of bare ground. This nonice portion of the continent protrudes above the ice sheet and only covers a combined physical area equivalent to about half the US state of Kentucky. The only plant life that exists here are the many different mosses and lichens that grow during short periods of the year. Below the giant ice sheet are dozens of subglacial lakes. Lake Vostok, the largest lake discovered in the Antarctic so far, was found two miles below the ice sheet and is the size of Lake Ontario. It is unknown what aquatic life might exist in these lakes. If all the ice and snow were removed from the continent, the total land area would be considerably smaller and would consist mainly of mountain ranges and islands. Some estimate that this land area altogether would only equate to about one hundred thousand square miles, roughly equivalent to the physical area of the US state of Colorado. This does not account for the fact that if all the ice were to melt, the sea level would rise and cover more land area. The land portion of the continent would also expand upward because of the loss of the weight of the ice, which has been compressing the continent. Not only is Antarctica the driest continent with the least average annual precipitation and the highest continent in average elevation; it is also the coldest of the continents. The lowest temperature ever recorded on Earth was −128 °F in 1983 at a Russian research station in Antarctica. Temperatures reach a minimum of less than −110 °F in winter in the interior and greater than 55 °F near the coast in summer. No permanent human settlements exist in Antarctica other than research stations from a number of countries. The continent is not politically controlled by any one government. 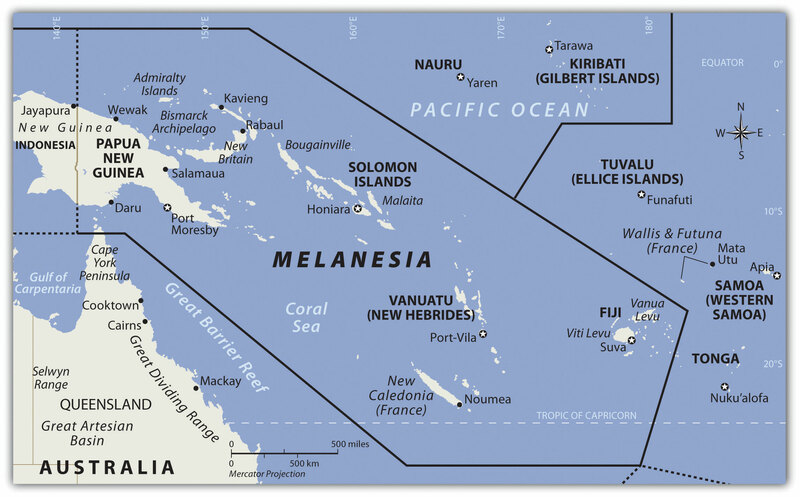 Early seafaring explorers sailed in these waters, and various countries laid claim to sections of the continent. The continent was first sighted by explorers in 1820, and the South Pole was first reached in 1911. 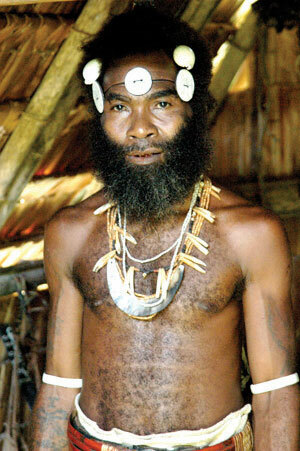 Land claims to the continent were established by the home countries of early explorers. Forty-six countries are now included in the Antarctic Treaty, which was originally signed by twelve countries in 1959. The treaty, designed to protect the environment and encourage scientific research, prohibits military activities, mineral mining, and the disposal of waste products. 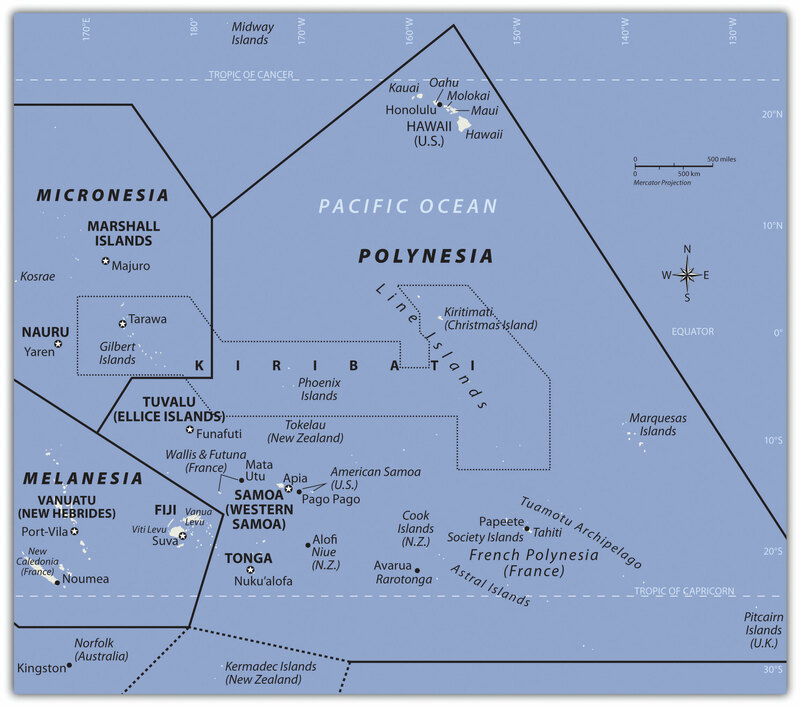 All land claims were suspended when the Antarctic Treaty was initiated, but the claims are not without political ramifications. Antarctica is divided into pie-shaped sections, and each of the original claimant countries is allocated a portion, according to their claim. 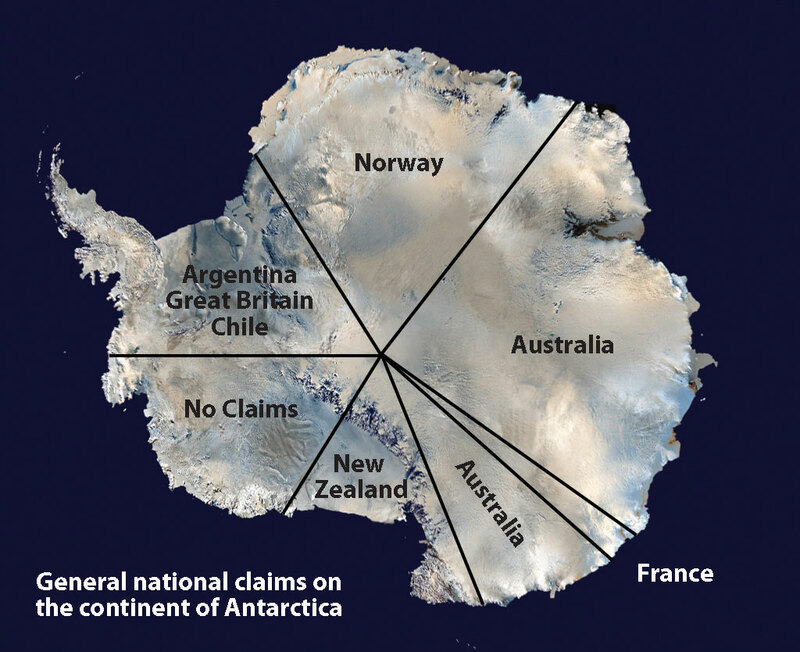 The countries with original claims are Norway, New Zealand, France, Chile, Australia, and Argentina. 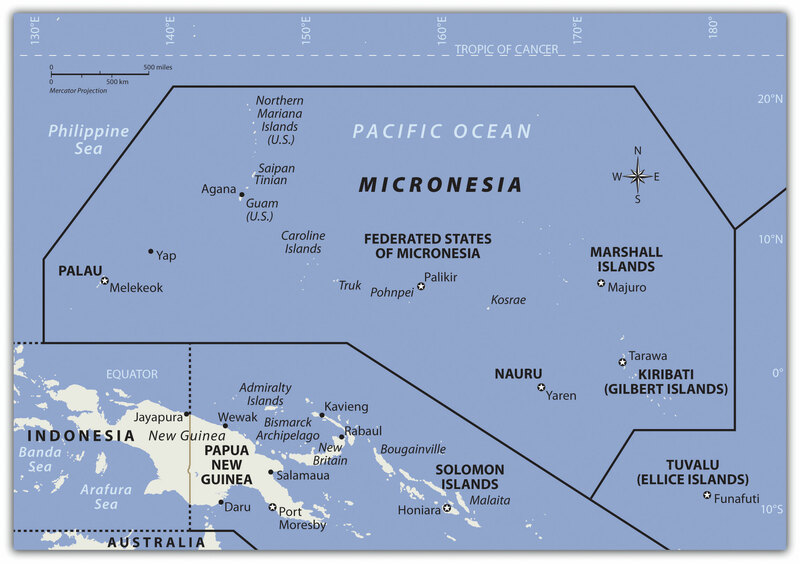 Other countries, including Brazil, Peru, Russia, South Africa, Spain, and the United States, have reserved their right to submit claims on the continent in the future if the issue of territorial claims becomes significant. A large sector of West Antarctica called Marie Byrd Land remains unclaimed. Research stations account for the entire human population in Antarctica. Approximately one thousand people live in Antarctica year-round, and up to five thousand or more live there during the summer months. Many of the research stations rotate their personnel, and tours of duty last anywhere from a few months to a year or more. Various family groups have worked there as well as other service workers, including Russian Orthodox priests, who have rotated every year at one of the Russian research stations. 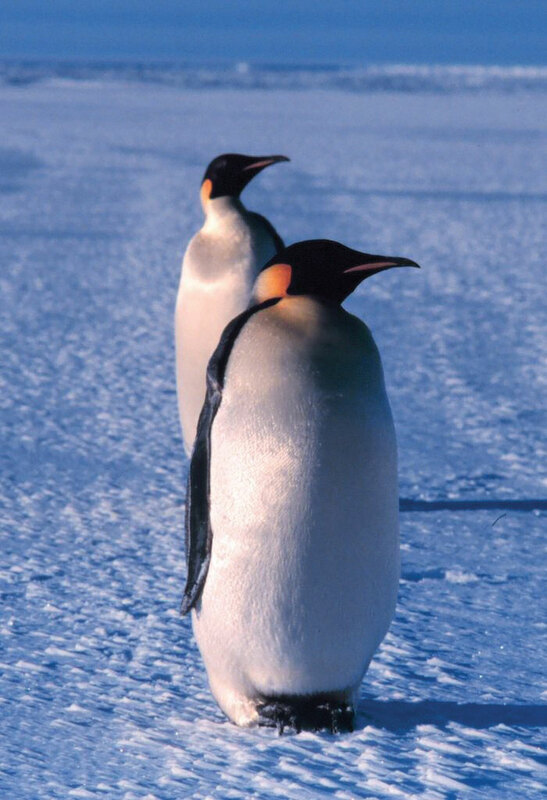 Source: Photo courtesy of Michael Van Woert (NOAA), http://commons.wikimedia.org/wiki/File:Emperor_penguin.jpg. Tourism brings the largest number of additional people to the continent. Tourists come for short-term visits to experience the conditions or see the many species of penguins or fauna that exist here. More than forty-five thousand tourists visit the Antarctic Treaty area yearly. 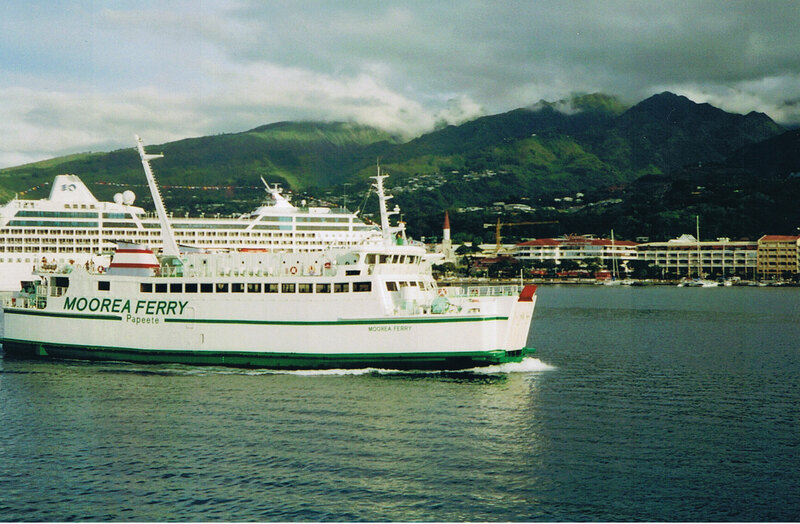 Most arrive on commercial ships that specialize in tours of the region. Tours only last one or two weeks. Source: Satellite image courtesy of NASA, http://www.nasa.gov/audience/forstudents/5-8/features/what-is-antarctica-58.html. Research has revealed that mineral resources are to be found under the ice in Antarctica, and oil and natural gas are found in offshore deposits. Antarctica is a frontier for economic development that is not under the jurisdiction of any one government. The Antarctic Treaty has been the determinant of the level of human activity. The current treaty restricts any extractive activity. Fishing is also regulated within the treaty, but without enforcement procedures, there have been questions about its effectiveness. Whaling was once a major industry in this realm. Whaling stations were established on the Antarctic Peninsula and nearby South Georgia Island. However, the increased use and extraction of petroleum reduced the need for whale oil and the industry collapsed. Some whaling continues in the waters of the Southern Ocean, which has led to questions about how to manage these natural resources. In 1998, negotiations between interested countries met in Madrid, Spain, and created the Protocol on Environmental Protection to the Antarctic Treaty (known as the Madrid ProtocolAnother name for the Protocol on Environmental Protection to the Antarctic Treaty.). The protocol designates Antarctica as a natural reserve that can only be used for peaceful purposes and for science. All mining or economic activity is banned. Climactic conditions on Earth have varied widely during the planet’s history. There have been long periods of heating or cooling. The last ice age, which ended about ten thousand years ago, created large ice sheets that covered much of the Northern Hemisphere. The earth then entered into the current interglacial period with warmer temperatures that melted the ice sheets; the polar regions have the last remaining ice on the planet. The earth has experienced large fluctuations in its temperature at various times in its past. Natural changes in the conditions that affect climate can include but are not limited to the dynamics of the sun, changes in the earth’s orbit, and volcanic eruptions. 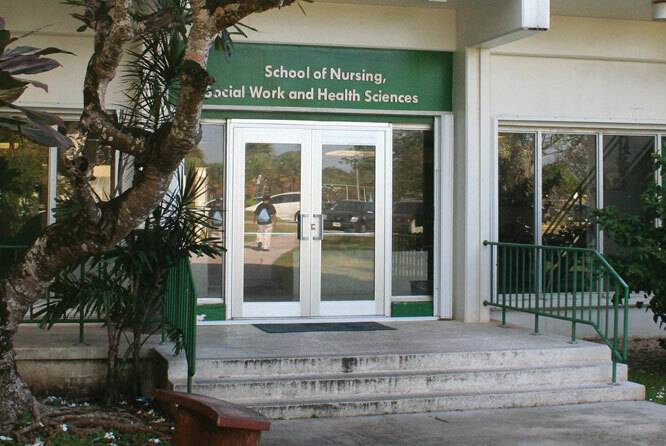 Human activity has impacted conditions both locally and globally. Since the Industrial Revolution, humans have been pumping enormous amounts of carbon dioxide into the atmosphere, which affects the planet’s climate and temperature. The Industrial Revolution introduced the burning of coal as a fuel to boil water to operate steam engines. This allowed power to become more versatile and mobile. The introduction of the automobile increased the burning of petroleum, which released carbon dioxide into the atmosphere in the form of engine exhaust. Large-scale deforestation and the burning of fossil fuels have increased the quantity of heat-trapping “greenhouse gases” in the atmosphere. 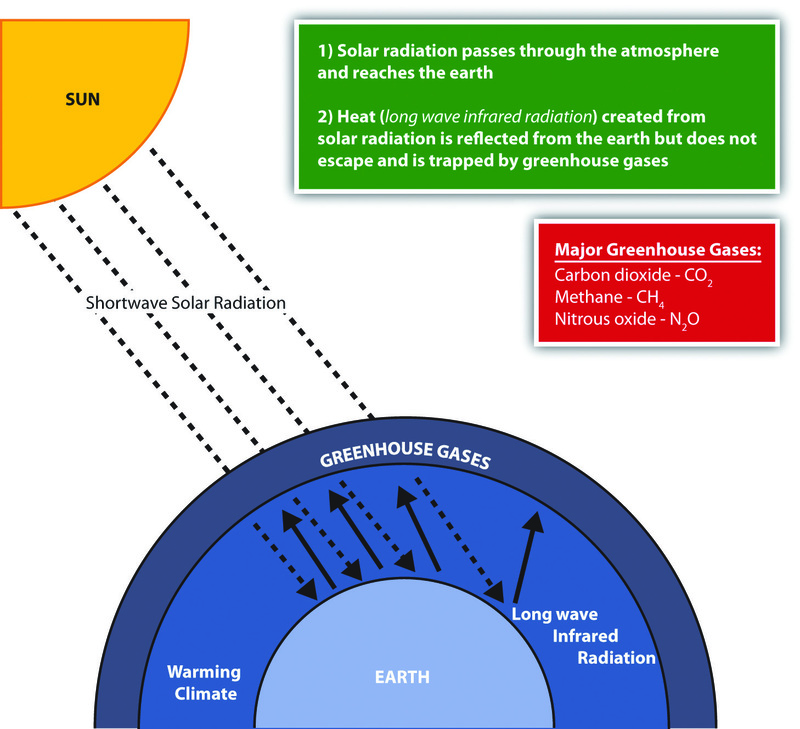 Nitrous oxide, methane, carbon dioxide, and similar gases act like the glass panels of a greenhouse that allow short-wave radiation from the sun to enter but do not allow the long-wave radiation of heat to escape into space. Deforestation reduces the number of trees that use carbon dioxide and store carbon in plant fibers. The burning of wood or carbon-based energy sources such as oil or coal releases the carbon back into the atmosphere. Fossil fuels are created when dead plant and animal life have been under pressure and decay for long periods and have retained their carbon component. This all leads to a rise in the activity of the carbon cycle. Carbon is a key component to the regulation of the earth’s temperature. Life on Earth is dependent on temperature conditions that are regulated by the atmosphere. This natural cycle has been augmented by human activity. Changing global temperatures are one aspect of climate change that has received attention in recent years. Technically speaking, global warming is an average increase in the temperature of the atmosphere near the earth’s surface. Few environmental effects could impact Antarctica as much as the phenomenon of changing temperatures. There would be major ramifications for the entire world if temperatures would increase to the extent that the Antarctic ice sheet would melt and dissolve away. Sea levels would rise, and many areas of the planet with large urban populations would be flooded. For instance, many of the largest urban centers in the world are port cities that rely on the import and export of goods and materials. These cities would be in danger of being under water if the sea level were to rise even a few feet, let alone up to two hundred feet (approximated to be equivalent to the volume of water in the polar ice caps). It should be noted that light-colored surfaces such as snow and ice reflect more radiation than do darker surfaces. If the Antarctic ice sheet were to melt, this would certainly exacerbate global climate change, as more radiation would be absorbed at the surface (land and water). Climate change might also affect agricultural production. Global changes in temperature would alter ecosystems and the habitats of organisms, changing the balance of nature in many biomes. The scientific community continues to study the dynamics of climate change. In the last decade, some of the warmest annual temperatures in the past century have been documented. Data gathered from both the National Oceanic and Atmospheric Administration (NOAA) and the National Aeronautics and Space Administration (NASA) indicate that the earth’s surface temperatures have increased by more than one degree in the past one hundred years. Climate change can have a major impact on atmospheric conditions. It should be noted that good ozone depletion in the stratosphereSecond layer of the earth’s atmosphere that extends approximately six to thirty miles above the earth. (the second layer of the earth’s atmosphere) has different causes and conditions than temperature change in the troposphereLayer of the earth’s atmosphere that extends from the surface of the earth to approximately six miles above the earth. (the layer just above the earth’s surface). The two concepts have separate and distinct dynamics that are not directly related. Ozone (O3) is a simple molecule consisting of three oxygen atoms. Common oxygen gas molecules have two oxygen atoms (O2). Depending on where ozone is located in the atmosphere, it can be either a protective safeguard from ultraviolet (UV) radiation from the sun or an element in smog that causes health problems. Good ozone in the stratosphere provides a protective shield preventing harmful UV radiation from reaching the earth. UV rays from the sun are known to cause skin cancers, eye damage, and harm to organisms such as plankton. Bad ozone molecules in the troposphere mix with various chemicals to create smog, which reduces visibility and can cause respiratory health problems. Tropospheric smog might contribute to climate change but does not serve the same function as ozone molecules in the stratosphere. The depletion of good ozone in the stratosphere is a different chemical process than the creation of bad ozone in the troposphere. 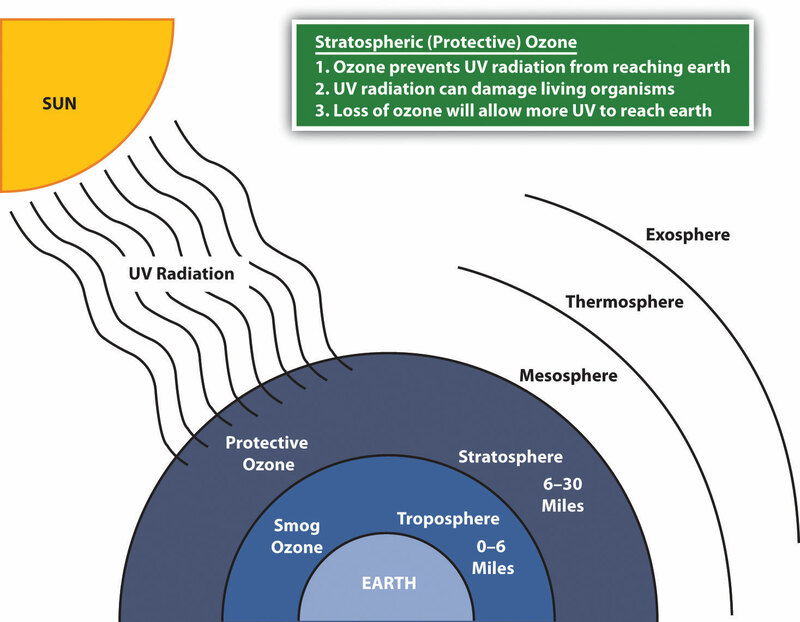 Ozone in the stratosphere is vital to the protection of living organisms from damaging UV radiation from the sun. In the stratosphere, UV radiation is absorbed in a continuous cycle in which oxygen molecules are turned into ozone molecules and then back into oxygen molecules. Oxygen molecules (O2) absorb UV radiation in the stratosphere and separate into two oxygen atoms (O2 → 2 O). Each of these oxygen atoms (O) will attach to another oxygen molecule to create an ozone molecule (O + O2 → O3). Each ozone molecule (O3) will absorb UV radiation, which separates it back into an oxygen molecule and an atomic oxygen atom (O3 → O2 + O). The separate oxygen (O) atom will attach to another separate oxygen atom (O) to become an oxygen molecule (O2) again (O + O → O2). This cycle will continue to absorb UV radiation and keep UV radiation from reaching the earth’s surface. It is a chemical reaction that gives off heat and increases the stratosphere’s temperature. Chemicals such as chlorine and bromine interact with protective ozone molecules in the stratosphere and break them down in a chain reaction that depletes the stratosphere of ozone molecules and stops the cycle that absorbs the UV radiation. One chlorine molecule can destroy one hundred thousand ozone molecules, and bromine atoms can destroy ozone molecules at a rate of many times that of chlorine. Chlorine and bromine enter the stratosphere through the discharge of chlorofluorocarbons (CFCs), hydrofluorocarbons (HCFCs), and other chemicals that deplete ozone molecules. These chemicals have been mainly used in industrial processes such as refrigeration and air conditioning and in solvents and insulation foam. In the stratosphere, radiation from the sun breaks HCFCs and CFCs apart, releasing chlorine atoms that destroy ozone molecules. Ozone in the stratosphere protects the earth from harmful ultraviolet radiation from the sun. One of the largest ozone holes was observed in 2006 over Antarctica. 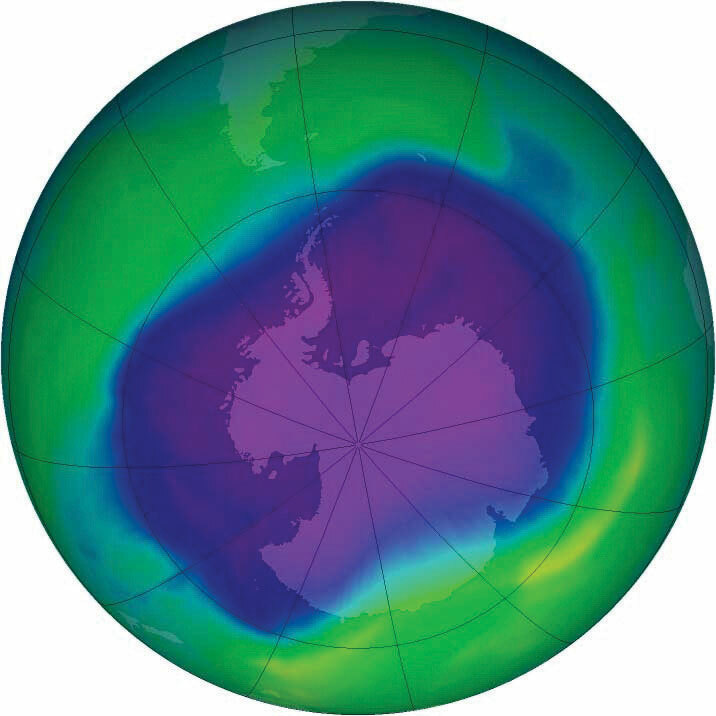 Source: Photo courtesy of NASA, http://commons.wikimedia.org/wiki/File:160658main2_OZONE_large_350.png. This process also occurs naturally when volcanoes erupt and emit sulfur aerosols into the atmosphere. The sulfur aerosols break down CFCs and halon; this results in the release of chlorine and bromine, which deplete ozone molecules. In recent years, nitrous oxide has become a major chemical that can reach the stratosphere to act as an agent in the ozone depletion process. Nitrous oxide can be released into the atmosphere from human activities such as the use of nitrogen fertilizers in agriculture or from vehicle exhaust from burning fossil fuels. Nitrous oxide is also released naturally from the soil or from ocean water. Ozone depletion has been especially noticeable over Antarctica. A large area of ozone depletion in the upper atmosphere is often called an ozone holeA major reduction in the amount of ozone found in a specific area of the stratosphere.. The ozone hole over Antarctica is not exactly a total depletion of ozone but a major reduction in the amount of ozone found in the stratosphere over the South Pole. Recent ozone levels in the stratosphere over Antarctica have decreased and are lower than they were in 1975. Polar stratospheric clouds, which sometimes develop over Antarctica during the extremely cold winter months, severely reduce ozone levels. The clouds trap chlorine and nitric acid in their ice crystals. As the circulation of westerly winds starts in the spring, an atmospheric vortex is created over the polar area. The ozone hole increases during the spring when sunlight increases—from September to early December. The sunlight speeds up the chemical reactions that deplete the ozone molecules. During this time, as much as half of the lower stratospheric ozone can be destroyed, creating an ozone hole. Many governments around the world have established agencies to address environmental issues and have invested resources in continued research and scientific discovery. Many nongovernmental agencies and organizations such as Greenpeace International have also been established to address the development or management of Antarctica and to address environmental concerns. International organizations such as the United Nations Environment Programme (UNEP) have been formed to enhance cooperation between countries and concerned entities. In 1998, the Intergovernmental Panel on Climate Change (IPCC) was established by the UNEP and the World Meteorological Organization to address the work of the United Nations Framework Convention on Climate Change (UNFCCC). 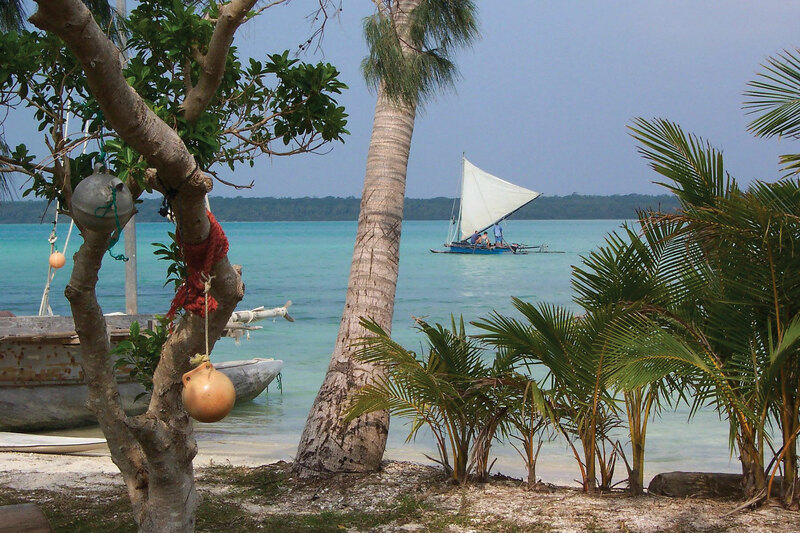 Through an international treaty, the agency focuses on the harmful effects of climate change. One outcome of the UNFCCC’s work was the Kyoto ProtocolAn international environmental treaty with the goal of achieving stabilization of greenhouse gas concentrations in the atmosphere at a level that would prevent dangerous anthropogenic interference with the climate system. developed in 1997 in Kyoto, Japan, which created a legal commitment by participants to reduce greenhouse gases and address climate change issues. As of 2010, 191 countries have signed on to the initiative. The United States has not yet ratified the protocol. Enforcing the Kyoto Protocol is a matter of debate. The 2009 United Nations Climate Change Conference (also referred to as the Copenhagen Summit) was held in Denmark to address some of the same issues that were discussed in the Kyoto Protocol. This is what Antarctica might look like if all the ice were removed. The physical area remaining is estimated by some to be about one hundred thousand square miles, which is about the same physical area as the US state of Colorado. It is unclear what the actual physical area would be if the ice melted. Source: Photo courtesy of Cristellaria, http://commons.wikimedia.org/wiki/File:AntarcticBedrock.jpg. Depletion of the stratospheric ozone over the polar regions or the thinning of the ozone layer over the midlatitudes would have worldwide implications for human activity and environmental conditions. Climate change is not restricted to one country or one government; these and other environmental issues affect the whole planet and impact everyone, whether they are contributing to the problem or not. If the sea level were to rise to the level predicted because of global warming, it would affect every country with a coastline in the world. It would not be restricted to any one category of country, developed or undeveloped. Issues of increased UV radiation or climate change are not restricted by political boundaries or economic conditions; they require global thinking and awareness and cannot be solved by one country alone—if they can be solved at all. Antarctica has the highest average elevation of any continent and has many mountains. 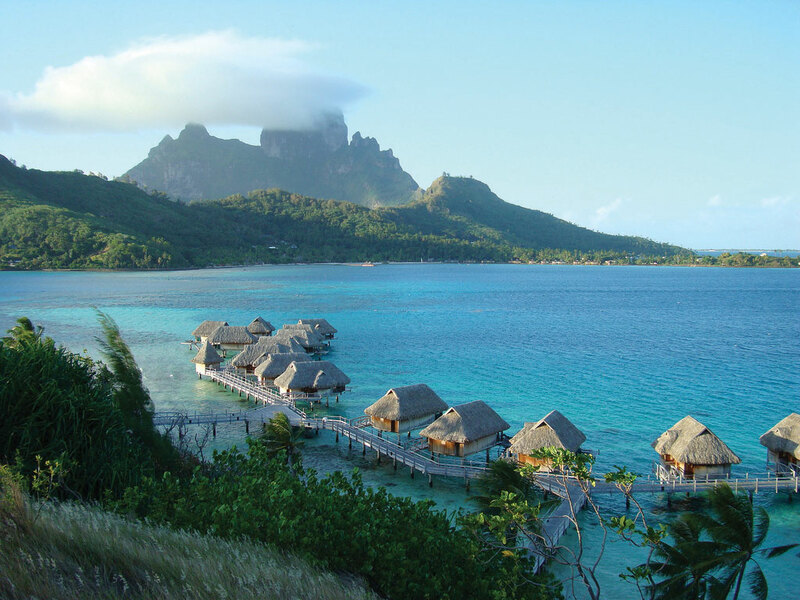 The continent includes active volcanoes, high mountains, and the Transantarctic Mountain range. The continent is surrounded by the Southern Ocean. The ice sheet that covers Antarctica is more than a mile thick and holds about 70 percent of the earth’s fresh water. Antarctica is still considered a desert because it receives so little precipitation on an average basis. Large bodies of water are also located below the ice sheet. The concept of global warming is one aspect of climate change that indicates an increase in greenhouse gasses such as carbon dioxide, which help regulate the temperature of the earth’s atmosphere. The end result is warmer temperatures on the earth’s surface. The burning of fossil fuels is a main source of carbon dioxide that enters the atmosphere. Climate change may result in the melting of the polar ice sheet over Antarctica, which could raise sea levels considerably. Ozone in the stratosphere protects the earth from harmful UV radiation from the sun. Various chemicals reduce the amount of protective ozone in the stratosphere, which allows more UV radiation to reach the earth. A seasonal cycle varies the amount of ozone in the stratosphere over the South Pole, causing an ozone hole when ozone is not abundant. Where are the main mountain ranges in Antarctica? What is significant about Mt. Erebus? 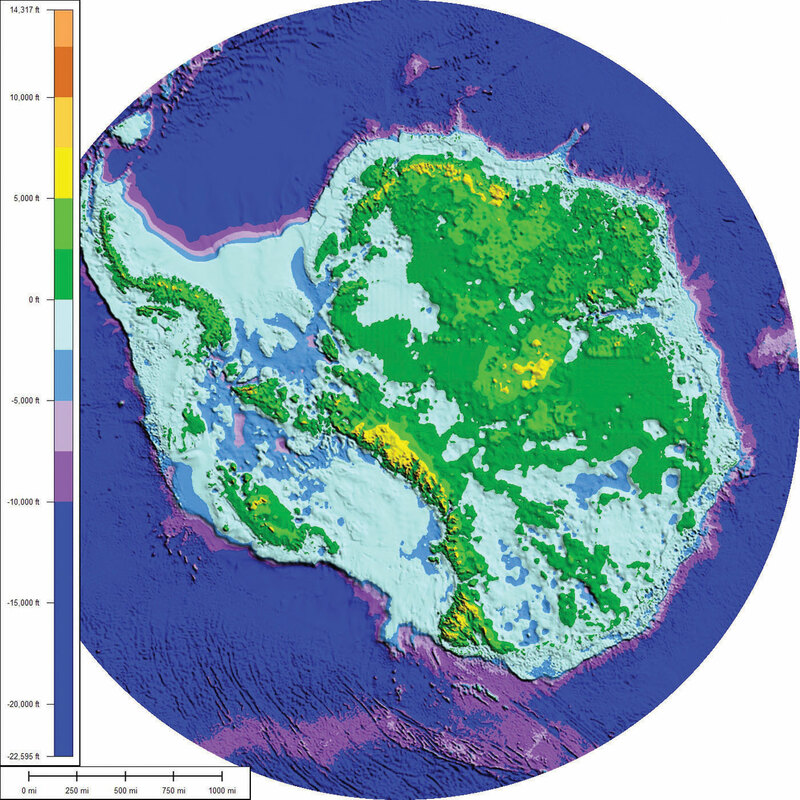 How can Antarctica be considered a desert region with all that ice? How thick is the ice sheet? What percentage of the world’s fresh water is located in Antarctica? What was the Antarctic Treaty designed to accomplish? Who agreed to the treaty? What seven countries have laid claims to the territory of Antarctica? How does the burning of fossil fuels contribute to climate change? How would continued global warming affect Antarctica and the rest of the planet? How does ozone protect the planet? What damage would ozone depletion cause? Why is there an ozone hole over the South Pole during certain months? What does the Kyoto Protocol attempt to accomplish?